Which Formats Are Suitable in Photoshop for Image Editing Service? Home / Article / Which Formats Are Suitable in Photoshop for Image Editing Service? Do you have knowledge about perfect image formats? Now learn which are the best formats in Photoshop for image editing service. Every image contains specific format. Our new writing will explain the advantages and disadvantages of 4 important image formats for Photo editing service. All image formats are not equal for best image editing service. The following article is going to describe which image format is the best to use on Photoshop. We will also show you the problems and advantages of different image formats. You should be informed that raw images are not suitable to edit or work on Photoshop. Before going to work any image you should convert that to any format from raw version. Raw images are not workable. But you will be happy to know that most of the camera and mobile phones have the built in option to convert take picture into a specific format. There are many image formats which can be used in Adobe Photoshop to edit. Those are PSD, JPG, TIFF, PNG, EPS, PDF, IFF, PBM etc. Each format hast it’s own characteristics based on their use and action. Photo editors use those formats to make the images for different purposes. So, now we will show you the advantages and disadvantages of different formats of images. We will mainly emphasize on 4 formats of images; PSD, JPG, TIFF and PNG. And those are the mostly used formats in Adobe Photoshop. PSD is the most popular image format. Photo editors use this format vastly than any other formats of images because of its usability. In the world of graphic design images with PSD format have more facility to be used. The main reason of being popularity of this format is that the designers can save this format with any other formats. Again for product photo editing services the PSD formats suit most to contain layers for future editions. That’s the reason most of the customers demand PSD format finally from photo editing company. After working on PSD files you can easily save that with any format like TIFF, JPG or PNG. PSD files can contain lots of layers. As a result you can keep up all types of back up with this file. And you can edit that kind of file later according to your wish. If you get any problem with PSD files, you will be able to fix that and update any time. Because of having much layer option any one can save every step of work within this file layer by layer. Because of this usability designers prefer to use PSD format to edit. There are also some problems of PSD file format. PSD file is large with weight because of the resolution. The resolution of PSD files is normally high and it takes much layer. As a result it becomes vast size. When you will save lots of layers within a file it will be normally large size. Because of the large size PSD files takes enough space in a folder. And those files also take much time to upload and download. For the problem of uploading and downloading many designers don’t link to work with PSD files. But for professional Photoshop services PSD is the most preferred formats to the online picture editor. This is one of the popular image format and designers use this format because of it’s flexibility. This kind of file format has great demand in the world of image editing service. JPG files are light with size and that is why designers want JPG files to edit in Adobe Photoshop. JPG files take lees weight and as a result it is so easy to upload and download JPG files. JPG files take few times to upload and download. So this kind of file format saves much time. 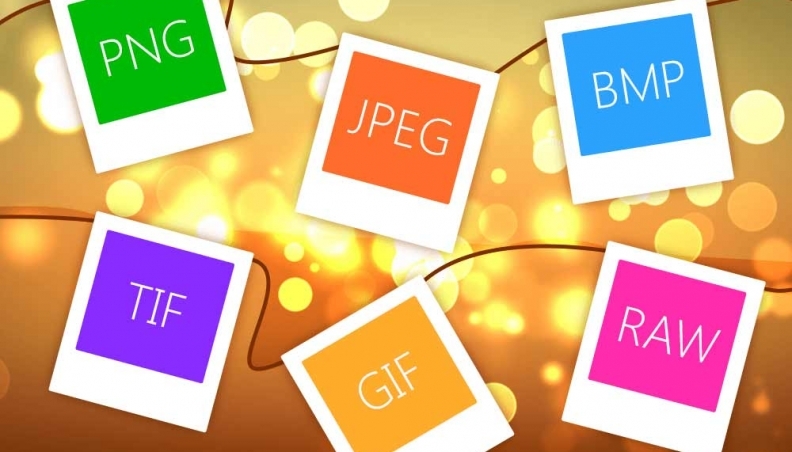 Again if you want to use any of your images on online platform, then you must convert that with JPG format. You cannot use PSD, TIFF files on Facebook of any other online field. But You can easily use JPG files for your online purpose. For background remove or applying clipping path service JPG format helps a lot to the designers. That’s why the clipping path service provider prefer the JPG file format to edit. There are also some disadvantages of using JPG files. JPG files cannot take layers and as a result there is no adjustment option for JPG files. 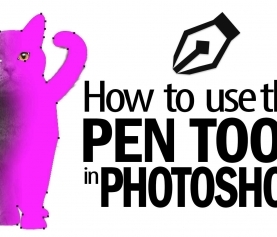 After working and save the JPG files, designers cannot adjust or amend the done work. So, they have to work newly if any adjustment is needed. If you want to make any change, you must keep the backup for JPG files. Otherwise, you cannot make any change or revision. If you want to edit or safe wedding photos, JPG will be the best option for you. For wedding photo editing services you should work on JPG images and also save those on JPG format. TIFF format is same as like PSD format. The difference is you cannot maintain size on PSD format but you can easily maintain the size of TIFF file format. It’s also so much popular format to the designers for image editing service. TIFF file format can contain much layer and adjustment option. 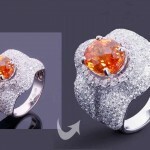 As a result the online photo enhancer can make any change after editing according to necessity. The TIFF images are normally good looking and high resolution. When an image needs multiple editing that should be saved with TIFF format. This format allows keeping all kinds of back up for future use and amendment. Its’ great flexibility is you can save TIFF files in any other format after editing. Again the files with TIFF format are easily visible in Mac or any kind of PC. The main problem of TIFF file is it is vast with size. Because of containing much layer TIFF becomes vast in size. And that’s why those files take so much to be uploaded and downloaded. And sometimes TIFF files take long time to open in Photoshop. It’s another popular file format for image editing service. It has some excellent facility to use and edit. The main facility is designers can maintain transparency through PNG file format. Portable Network Graphics (PNG) is one kind of raster graphics file format. It supports lossless data compression. It is the most vastly used lossless image compression format. PNG files are so much suitable to use on website as it is light in size. 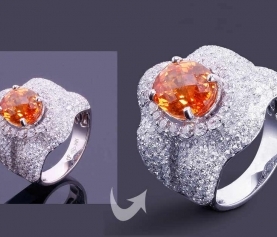 So for product image editing service, you should choose PNG format. This will help you to optimize your image perfectly for using on website. It offers a variety of transparency options. It is easy to use on website because of the less size. It is portable and you can transfer PNG files easily from one option to another. The main problem of PNG file is that it doesn’t contain any layer and path. So, it is tough to edit a done PNG file. Again it also doesn’t support animation at all. Because of those problems designers don’t prefer to use PNG file format to edit. Each image has it’s special quality for editing or working. Digital photo editing services demand different file formats according to the needs of saving, working. If you face problem with any specific format, then you can choose another format. You have to option. But you should understand what is your aim of editing an image. And based on your target or future outcome, you have to choose the right file format. Otherwise, you will get your expected result. If you can’t understand which will be the best format for editing or using on your website, then you can take help from any reputed photo editing company. 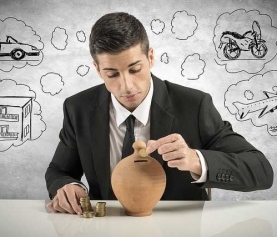 Then will definitely help you by proving exact information and services. Shohel Rana, CEO, senior graphics designer, Internet marketer, and a blogger of clippingphotoshop.com. He is interested to share tips and tricks on photo editing and graphic design! 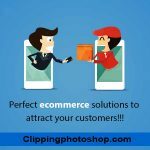 Clipping Photoshop is a well-reputed image editing company who serve 24/7. There are many image-processing studios but only few can provide master quality service. .